I currently attend Castilleja High School and am a rising senior. This summer, I am working with my mentor, Sarah Kienle, on researching the diets of pinnipeds (seals, sea lions, and the walrus) and their feeding habits. I am interested in the biology field and in entering the pre-med track in college, as I hope to become a doctor in the future. I am also interested in playing tennis, playing piano, and taking photographs. 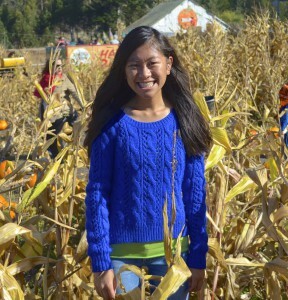 I am a rising sophomore at Saratoga High School, where I participate in speech and debate and track and field. Passionate about community service, I work on the Saratoga Youth Commission and volunteer in my free time. I also enjoy running, dancing, painting, and playing the piano. As a SIP intern, I’m helping my mentor, Vikram, to assess the evolutionary convergence of different cleaner fish species and construct a time-calibrated phylogenetic tree. Seeking a major in the biological sciences, I hope to pursue a career in the medical profession. Hi! 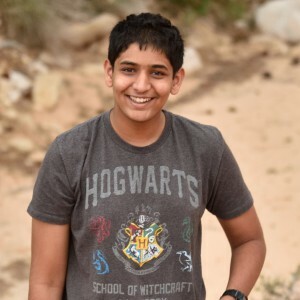 My name is Vikram, and I’m a rising junior at Stanford Online High School. Here’s a little bit about me. Academically, I love all kinds of sciences- especially zoology and other topics in biology. I also enjoy learning about many other subjects, including philosophy and (especially) foreign affairs. When in college, I’m thinking of pursuing a path in zoology (as a professor) or in diplomacy, although I really haven’t made a proper decision yet. In my free time, I like to read books, play video games, listen to music, sing, and relax with friends. I also enjoy playing piano, swimming, hiking, participating in Model United Nations, and tutoring. My project involves measuring the skulls of multiple specimens of Enhydra lutris (the sea otter), using linear measurements. My mentor, Chris Law, and I will be analyzing these measurements to find if there is sexual dimorphism between male and female sea otter skulls. I’ve really enjoyed the SIP Program!